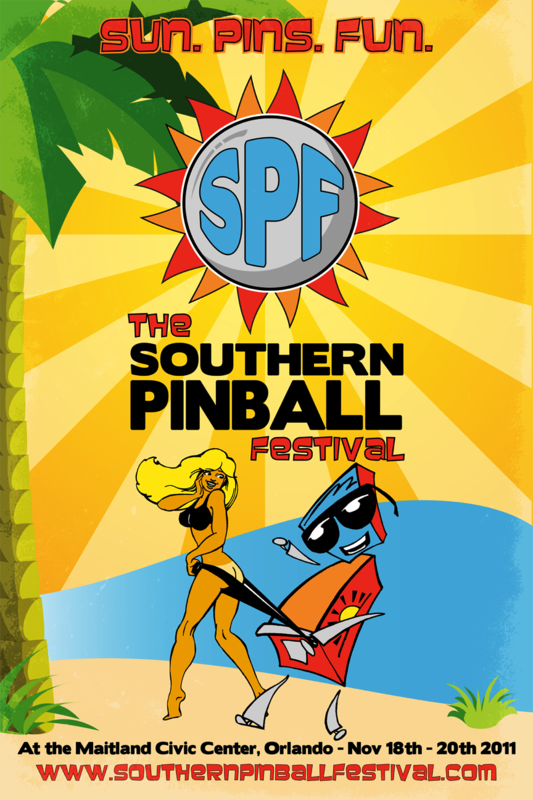 The second annual Southern Pinball Festival in Orlando had a great run earlier this month. You can watch video and see photos and still get cool posters and shirts online even if you couldn’t attend. SPF is a supporter of PBDG, and I wish I could have been there! This entry was posted in News, Pinball People, Pinball Shows and tagged florida, pinball, southern pinball festival by Anna Newman. Bookmark the permalink.